Drilla LTD is an expert and leading Concrete Cutting Contractors with over 15 years of experience in providing efficient concrete cutting services to its valued customers. We have a team of dedicated and skilled professional contractors. They always work to the highest standards and provide quality services that never fail to impress. We offer a wide range of services, and all of them are available at competitive prices. Regardless of the size of your concrete cutting project, we have all the appropriate equipment, experience and industry knowledge to succeed. We feel pride in the quality of work that we have provided to several customers over these years. Also, we go an extra mile to ensure customer satisfaction. 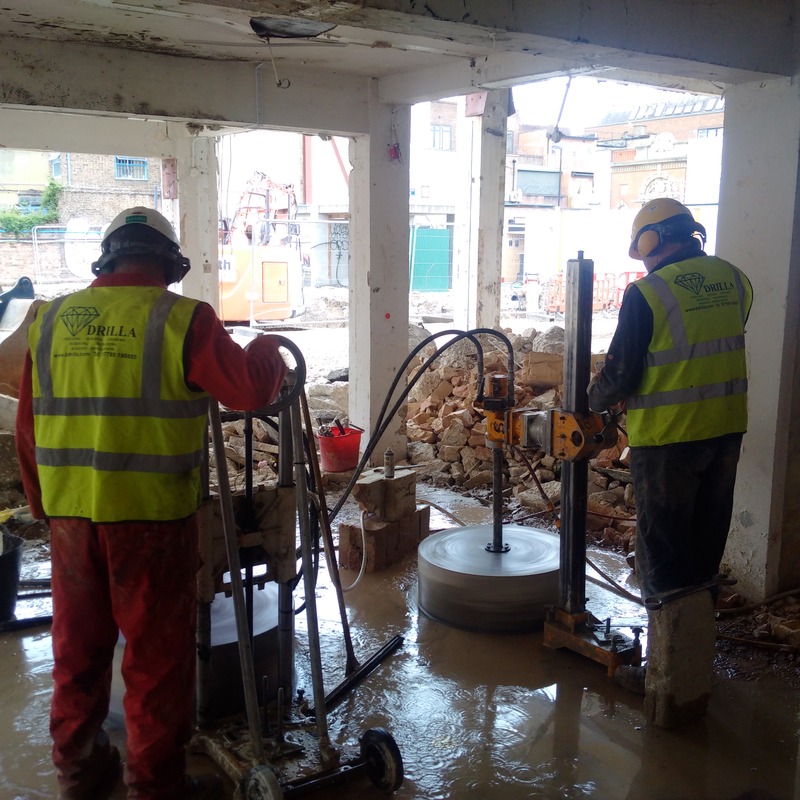 We are reliable concrete cutting contractors that are highly trained, follow health and safety measures which give our customers peace of mind. Due to this, we have achieved an outstanding reputation, which in turn has helped us in gaining many referrals. Why Should You Hire Our Concrete Cutting Contractors Services? Drilla LTD offers the most highly trained concrete cutting contractors combined with state of the art equipment at competitive prices. We also specialise in diamond drilling and sawing and concrete floor repair. We are a one-stop shop as you do not have to search different contractor for different purposes. Moreover, we are fully CSCS accredited and offer nationwide service. We guarantee that your project will be completed professionally and within the prescribed time. For us, no project is too big or small as we handle every task with the same level of proficiency. Whatever your demands are, we can fulfil it, and have successfully served thousands of customers. Assign at least two technicians, so that high quality can be maintained and ensure the work is completed promptly. Possess a wealth of experience and knowledge in fulfilling every type of requirements. Utilised only latest and advance equipment which includes electric, hydraulic, and much more. Possess all the essential capabilities to complete jobs of any size, scope or industry. We also provide 8 am next day service UK-wide. So what are you waiting for? We offer you a guarantee, expert concrete cutting service at the most competitive rates in the industry. Call us or simply email us and we will give you a prompt response. Also, do not forget; we are always happy to answer any questions that you may have so that your project is completed smoothly without a hitch.